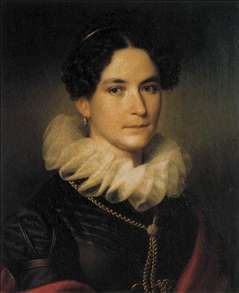 Austrian painter, teacher and curator of German birth. 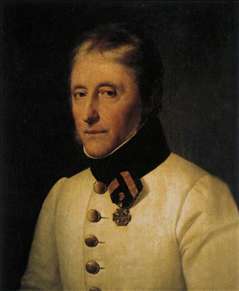 From the age of ten, Krafft studied at the Hanau Akademie while at the same time continuing his school education in Hanau. In 1799 he went to Vienna with his sister and studied at the Akademie for three years with the history and portrait painter Heinrich Fger. At this time Krafft painted mythological subjects, made copies from older works and produced several self-portraits that already reveal his capacities in this genre, for example. The dream-like atmosphere of total absorption, which Krafft often achieved through his use of the techniques of early German painting, constitutes one of the most striking aspects of his portraits from the turn of the century. From 1802 to 1804 he was in Paris, where he studied with Jacques-Louis David and Franois Grard. The work of these two, together with that of Jean-Baptiste Greuze and Antoine-Jean Gros, was to influence Krafft s later work when he returned to Vienna. David s realist tendencies in painting had a fundamental effect on Krafft s artistic output, and it was through Krafft that this realism contributed to a development towards Biedermeier art in Vienna. In 1808 Krafft went on a study trip to Rome; on his return to Vienna he produced numerous portraits, a genre that occupied him for the rest of his career, allowing him to make a handsome living. His portraits are characterized by the emphasis he placed on specific traits of the face of the sitter, by an economy of outline and by the cool, often sharply graduated colouring. The composition is usually either modern , in the sense that David s portraits are modern (the subject facing the observer and the background unobtrusive), or it tends more towards a Baroque presentation of the subject. Two of his pictures, the coronation of Franz I (1823) and Zrinyi s escape from Szigetvr (1825) were bought for the Hungarian National Museum as a result of a campaign to raise money. 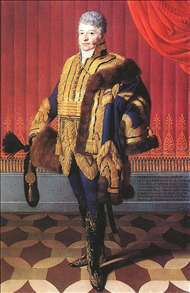 He painted the portrait of Franz II and Archduke Karl. 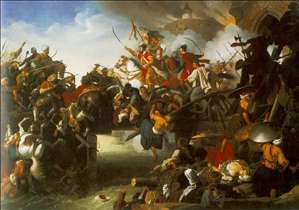 The picture on the battle of Aspera is also well-known. See more details about "Maria Angelica Richter von Binnenthal"
See more details about "Portrait of Count Ferenc Barkóczy"
See more details about "Franz Xaver Richter von Binnenthal"
See more details about "The Attack of Zrinyi"